Kava: Get up to 10,000 free KAVA coins from the video game platform! I discovered this video game company founded in the late 2000s thanks to Kyle. And they’re launching a social casino gaming platform for VR, Mobile and Web: CasinoLife. One of their game is already available on the App Store and on the Play Store. But a future update will implement blockchain technology in the game. And that’s a game changer. 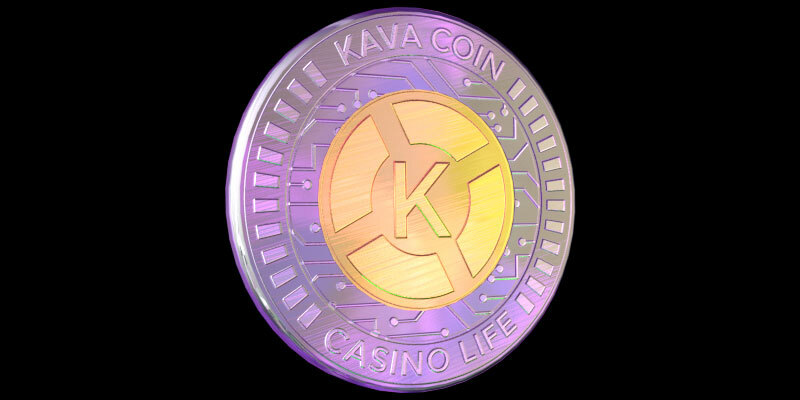 Indeed, players will earn KAVA coins (see below) for playing and for building their social network. So if you register today, you can create an account and start earning coins by playing. The more you play, the more free cryptocoins you get. Because its important for their team to reward your loyalty. Unfortunately, there’s no white paper available. But you can visit their website for further details. KAVA coin is the Stellar powered token of the platform. And the total supply at the start is 100,000,000 KAVA coins. I have to mention that, unlike most projects, the supply is not fixed. And their team is planning to increase the supply if needed. KAVA is the premium digital currency for players on the platform. First of all, players can get the tokens either from the game rewards or from an external account. So if your little brother starts playing, you can send him a few coins as a welcome gift! The coins will allow players to purchase and collect premium in-game content. And if they prefer, they can transfer their coins out of the game, to an exchange or to their private wallets. How to get the free KAVA coins? First of all, you need to register on their website. So click here and fill in your first name and last name and email address. And click on Sign Up Now. This first step will also allow you to earn more KAVA coins thanks to their referral program. Because you can get 1,000 KAVA coins for each friend that signs up! But you’re not done yet… Indeed, you need to download CasinoLife Poker game and log in using Facebook. Finally, fill in their coin airdrop submission form. While that’s a lot of work, you can get up to 10,000 free KAVA coins. Please note that this airdrop is limited to 25,000 participants. So don’t waste your time. And they’ll send the tokens 4 weeks after the end of the campaign. Kava is a video game company jumping on the blockchain train. They'll start rewarding users for playing their games. And they're giving away free KAVA coins to get started. Don't miss out this opportunity and claim your coins now!